This well-known and highly regarded mother-daughter real estate team made up of Maxine and Marti Gellens and their expert team have sold thousands of homes in San Diego County since the two became partners in 1994. 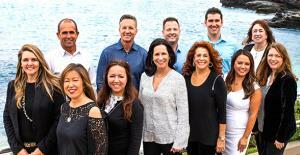 The Gellens team is ranked #14 in the nation and #1 in La Jolla out of 42,500 Berkshire Hathaway HomeServices agents from 1,300 offices in the nation. Specializing in the coastal areas of San Diego with an emphasis in La Jolla and Del Mar, their attention to detail, cutting edge marketing and tenacious negotiating have kept them at the top of the high-end luxury real estate market in San Diego.